Our services directly affected the lives of nearly 10,000 people this year – more than ever before in our history. 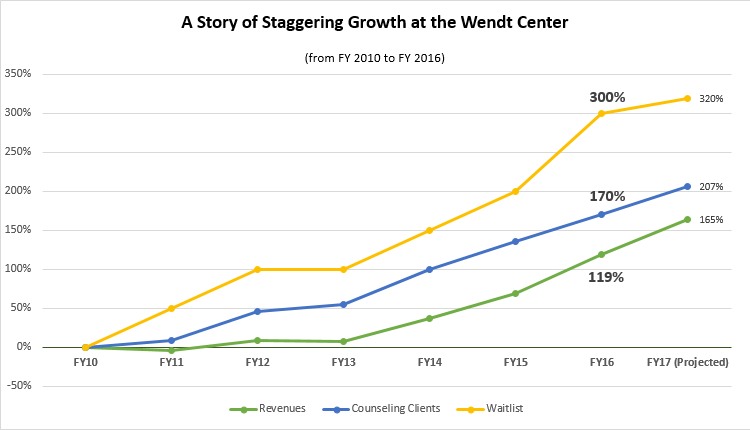 Over the last 6 years, the Wendt Center’s budget has grown nearly 2½ times, and our counseling base has tripled. Our expanded presence in the community has resulted in a steep increase in demand for our services. We project continued sharp growth in the coming year.